Are you looking for your soulmate? Or maybe just someone fun to do things with? That is where my journey into feng shui began; I was ready to find the “right” guy for me. That perfect person for me to share my life and start a new chapter in my life’s journey. I had had enough of the “single” life. I had read somewhere that the best way to learn how to be loved is to actually love. To love and be loved is, in my opinion, what makes the world go round. Ok, to my single woman audience, take a look at your home objectively and ask yourself “Who lives here?” Some may need the help of a friend or family member who can be objective if you cannot. Let’s look at your house, and specifically your bedroom. Does the décor in your home scream feminine? What does your art represent to you? What is the actual art of? You’d be surprised how many women actually have scary or negative art in their relationship area of their home. On the other side, there are women who have nothing but frilly florals. When men come over to your house, do they want to hang out or do they tend to leave quickly? Sometimes we create environments that are so entirely us they are uncomfortable to the guys. Too much feminine energy can overwhelm a man. Is there a balance of the yin and yang throughout your house? Take a look at your bedroom … is your bed easily gotten to from both sides? What is the art in that room? I had a super big picture of a carefree single woman on a bike, all that did was scream “I want to be by myself and be that carefree single gal”. I had never considered that a painting I loved so very much because I felt it was the essence of me, would be saying the wrong thing to the universe. Your bedroom should be inviting your partner to come take his place next to you, not saying let me make some room for you first. Whatever you have on your side of the bed should be on his as well, like the nightstand and bed light. If you like intellectual guys you might want to put Steve Jobs memoir on his side or if he is a sports fan, maybe a sports figures memoir. Whatever you think you might like in your spouse, tell the universe who he is, and let him show up. Now, if you are not looking for that permanent relationship, but want to find someone to share some of your life … you will want to be a little bit light-hearted or fun with your art or décor. Maybe some lovers above your bed or something that sings fun to you. Make sure there are the two of you represented in the art, be wary of the “single girl” type photos. Whatever journey you are on the right feng shui can be your best friend. I met my soulmate about 6 months after I began using feng shui in my home. We just celebrated our 9th wedding anniversary and could not be happier. 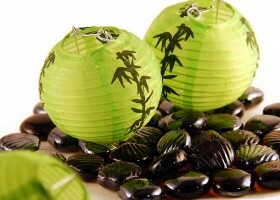 Contact me for a consultation and let’s see if we can’t help you begin your feng shui journey.